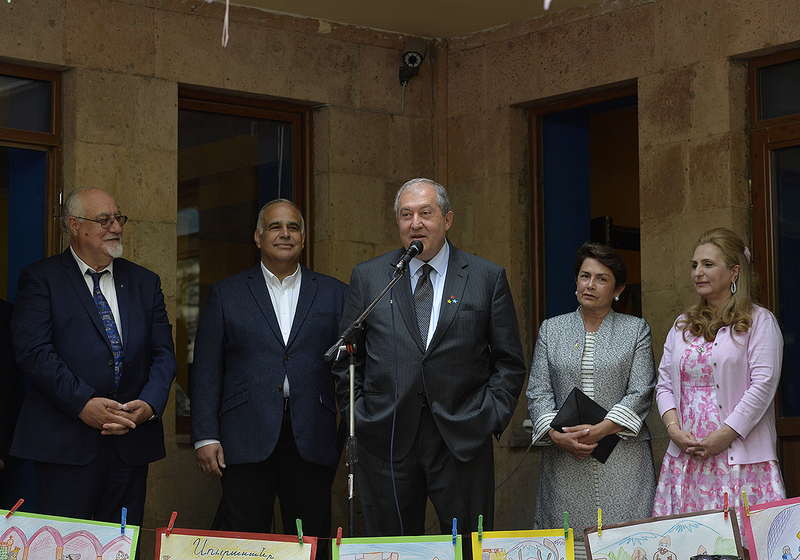 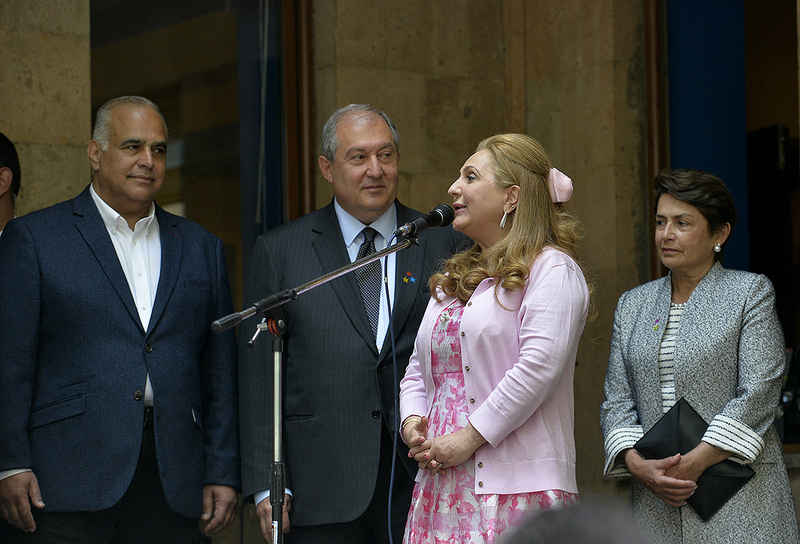 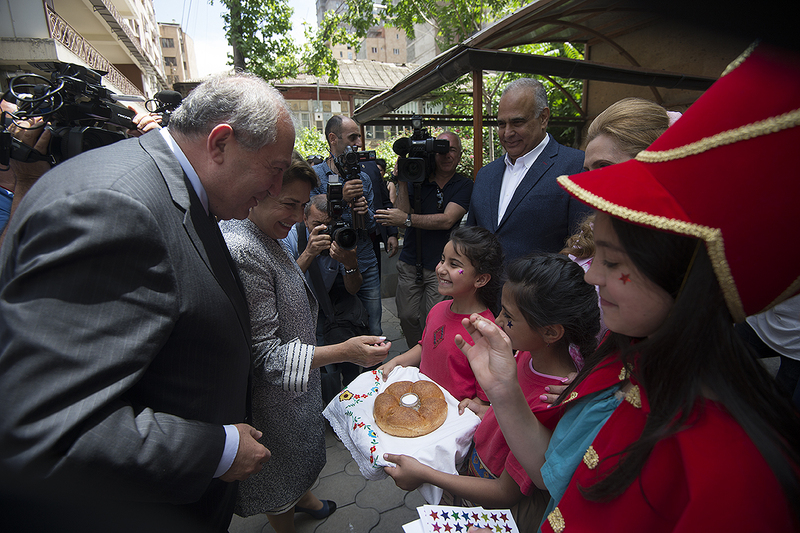 On the occasion of Children’s Day, President Armen Sarkissian and Mrs. Nouneh Sarkissian visited Orran benevolent organization and attended the festive event organized for children. 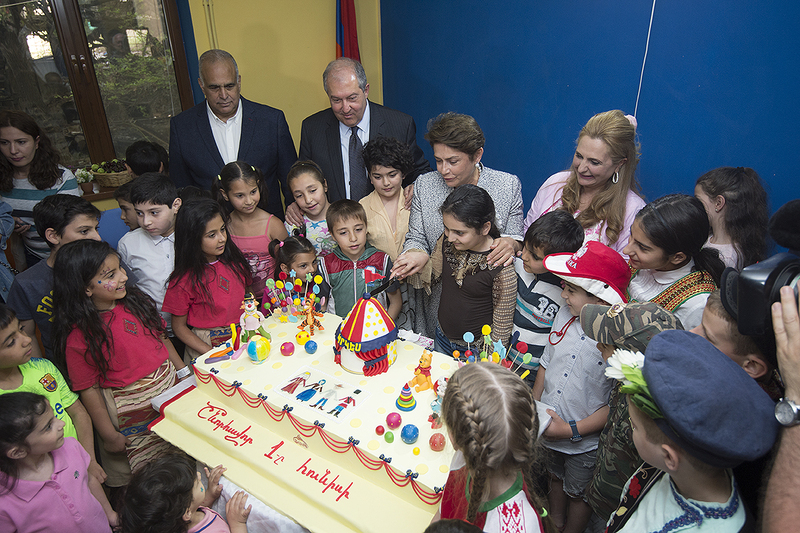 The President congratulated the kids on the occasion of the holiday as well as expressed thanks to the founders and staff of Orran for their works. 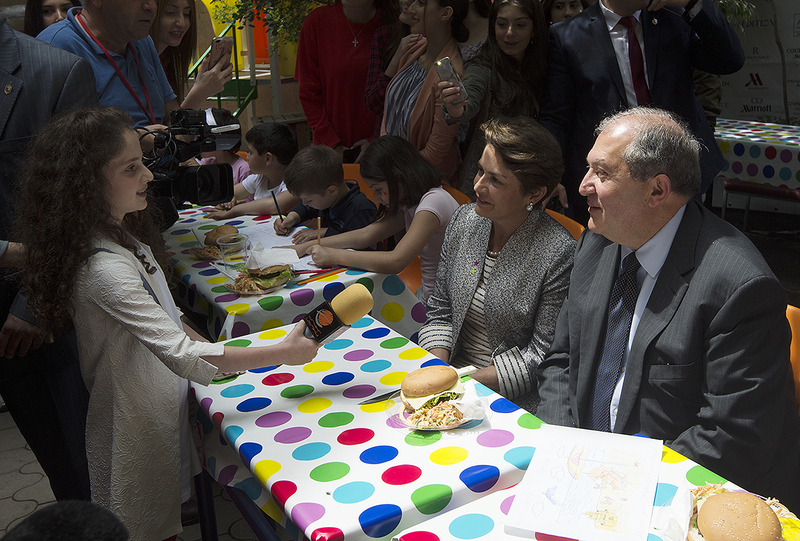 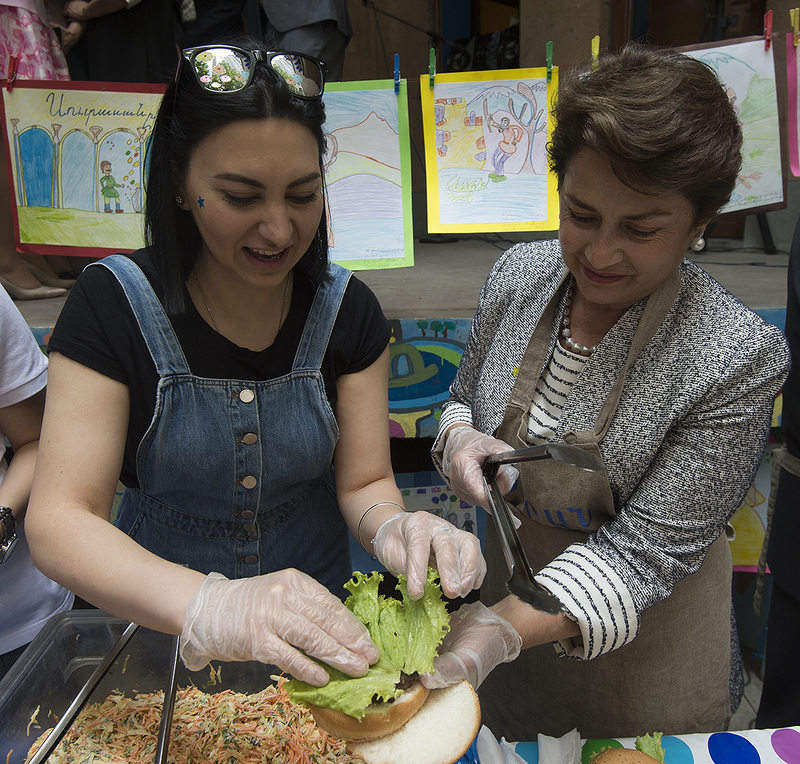 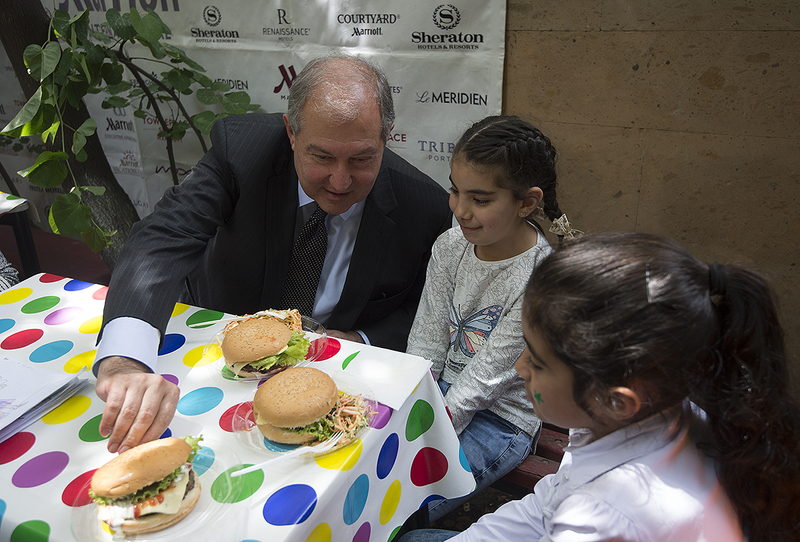 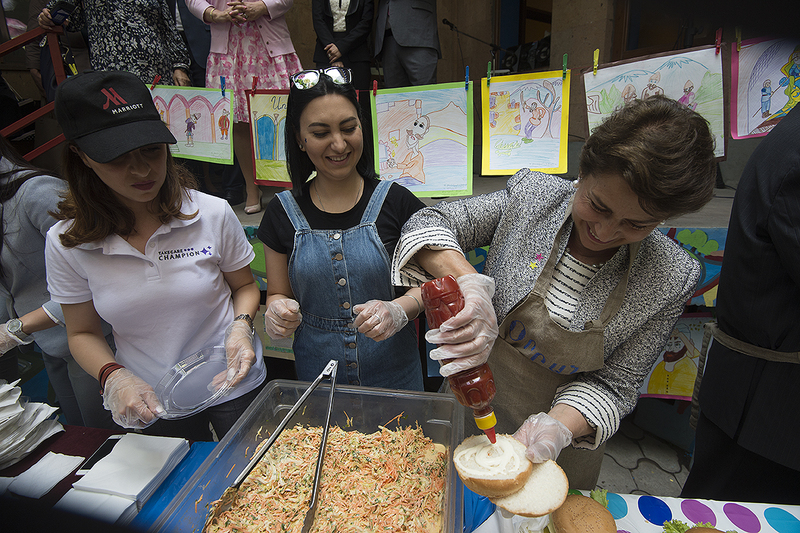 The President and Mrs. Sarkissian made hamburgers for the children, listened to their performances, and together with them cut the cake. 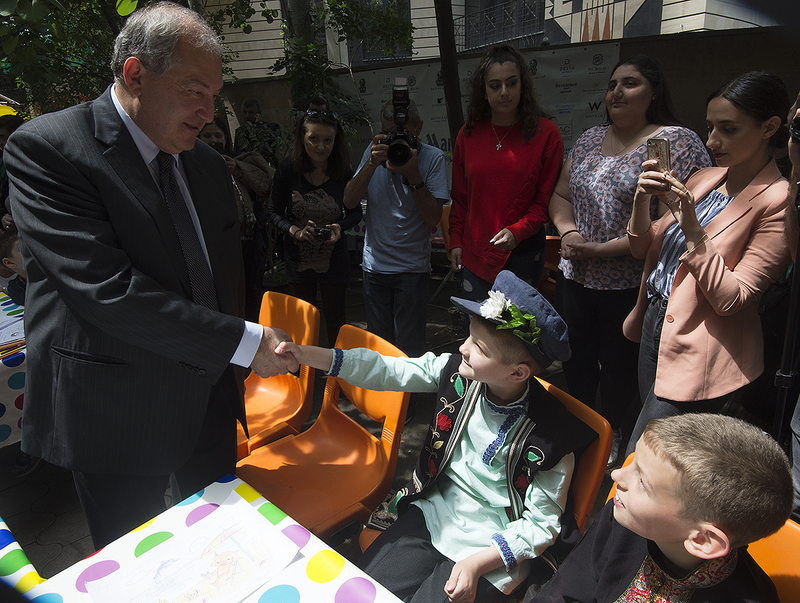 Along with the pupils of Orran, children from the ethnic minority families living in Armenia also took part in the celebration.